It was fairly obvious that the ninth running of the Event would not be as exciting as last year’s. Although not exactly dry in the run up the deluge previously experienced was thankfully absent. 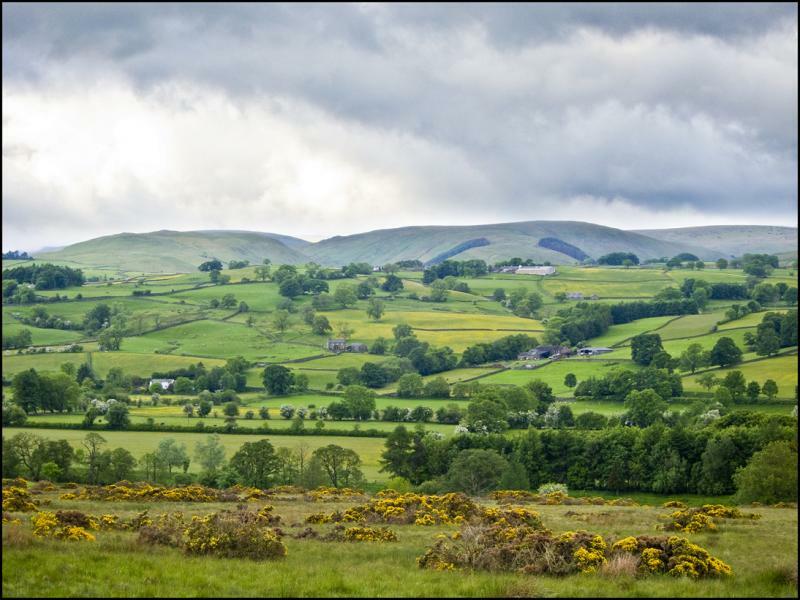 Perversely the weekend before had given perfect weather but the heavy showers promised for Event day did not materialise until the Saturday evening. This allowed the field to enjoy a fine breezy day as most went round Ring 1 in clear conditions. Fortunately the heavy rain cleared after a couple of hours giving the 100K contenders a more comfortable night. It was a year of record numbers with 171 entries and 152 starters. Strangely there were relatively few old faces with nearly half being non-LDWA and a third posted as runners. Clearly our fame has spread out-with the organisation! The new input is made of stern stuff as of 89 down to do all three Rings a hugely impressive 55 (62%) made it. This is a massive leap on previous years both in total numbers and percentage terms. It was good to see Phil Musson maintaining his record as the only person to complete all nine Events in a more than creditable time of little over 15 hours. 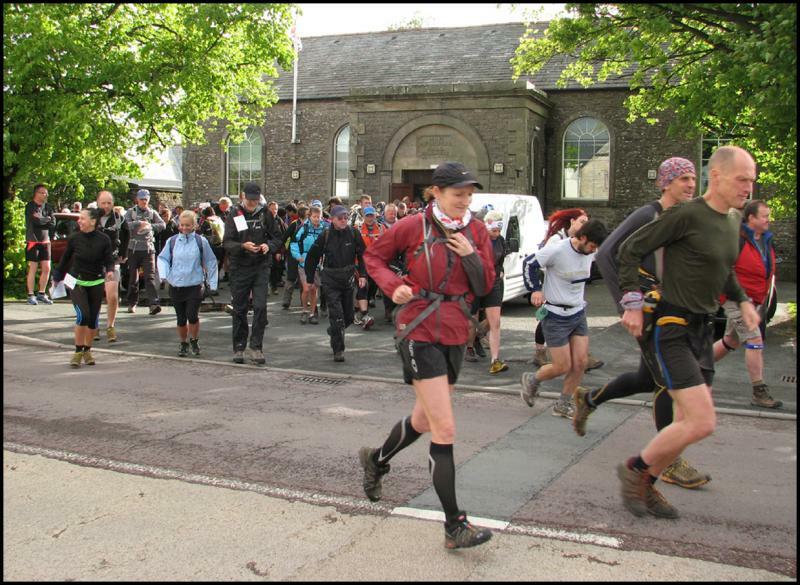 No records were broken with the first men (Martin Huddleston and Michael Hyde) finishing in 12 hrs 45 with Alison Brind and Pam Brown recording 15 hrs 25 in a creditable 10th place overall. As ever the main stories are not with the hares at the front of the field and it was fantastic to see the boys from Cambridge again, now aged 15, and desperate to complete two Rings this year. They did so in style coming in at 2am after 18 hours on the go! 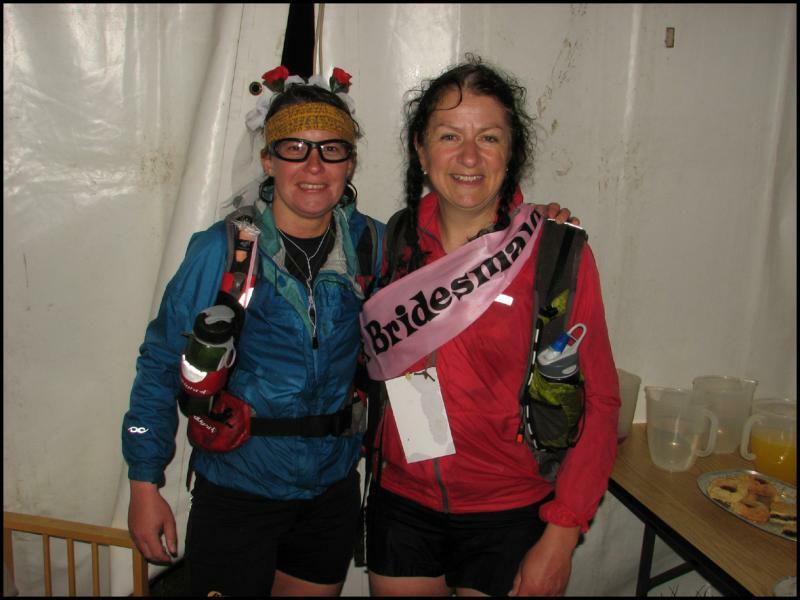 Interesting also to see Heather Garland and Sally Howarth trotting round 100K in 17 hours to celebrate Heather’s impending nuptials – some hen party (thanks for the champagne, girls). Impressively for the first time in many years there were no retirements and every starter completed at least one Ring – a challenge for the indefatigable team of recorders and certificate writers on the Finish desk. Thankfully there were no major scares with no significant or reported injuries and only one person being lost (on paper) for a while before his whereabouts were unravelled. Next year will clearly be the tenth ‘Shap’ and hopefully the same team will be up for organising it. Time marches on, of course, and the future of the Event after that will depend on new blood coming through to take over the reins.